In honor of the 14th Annual Tribeca Film Festival, MoviefiedNYC brings you a daily movie still from a film featured in this year’s festival that is premiering today (4/17) that we think you shouldn’t miss. Click on the title of the film to learn more about it and alternate show dates and times. First-time filmmaker Stephen Fingleton deftly navigates the conventions of the genre by keeping the focus on the farm and its surrounding areas, and so, relies on emotions over special effects. The pared down aesthetic and simplicity of the setting provides an authentic backdrop to this taut drama. 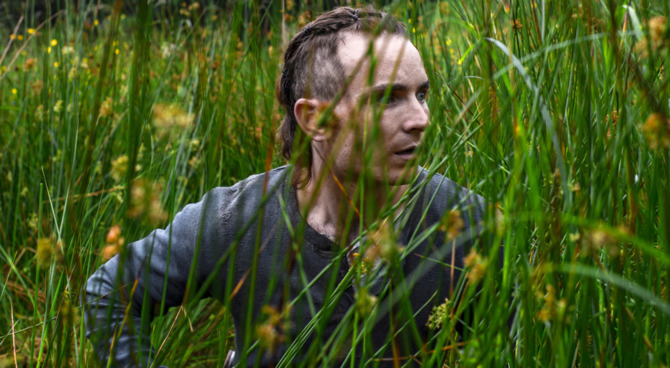 By presenting more questions than answers, The Survivalist is a gripping exploration of our most primal instinct—survival at any cost.